Maha Shivaratree - Each year for the Maha Shivaratree, the Shiv Shakti Sangh welcomes pilgrims going to and from the scared Lake, Gango Talao with refreshments and food. It also provides a resting place for the pilgrims at night. Shivala members also make a procession each year to go on pilgrimage to Ganga Talao to fetch the sacred water to offer to Lord Shiva on his night. On the day of Maha Shivaratree, there is the 'Char Pahar ke Pooja'. 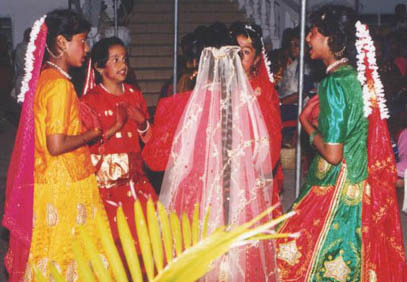 For the whole night, vigil is kept and the shivalingum is worshipped every 3 hours. 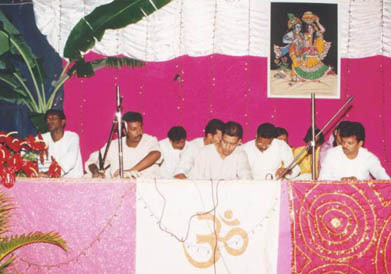 Vasanthik Nawratree - On the occassion of Ram Nawmi and Vasanthik Nawratree, 9 days of Pooja is organized. Ram Nawmi - Birthday of Lord Rama is celebrated with baby craddle to swing little baby rama on his birth. Hanuman Jayanti - Special prayers are made early in the morning to celebrate the birth of Lord Hanuman. 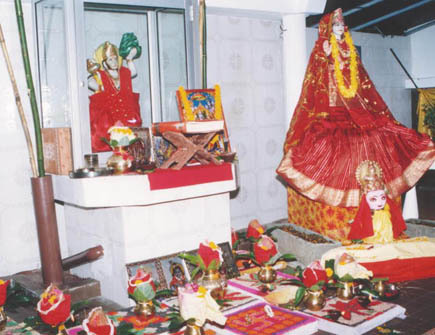 Durga Pooja - On the occasion of the Durga Nawmi, 9 days of Pooja is organized. 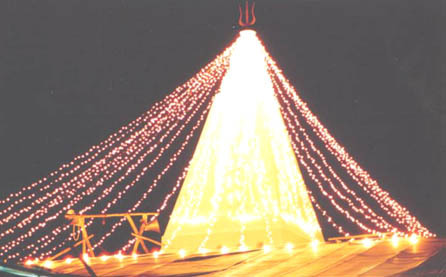 Shivaratree - The shivala celebrates the Shivaratree (night of Lord Shiva). The Shivaratree occurs on the 15th day of the dark fortnight. Special worship of the Shiva Lingum is made on this day. Hindi Classes for children- Free Hindi Classes are offered to Children every Mondays and Fridays from 3:45p.m - 5:15p.m in the little hall below the shivala.